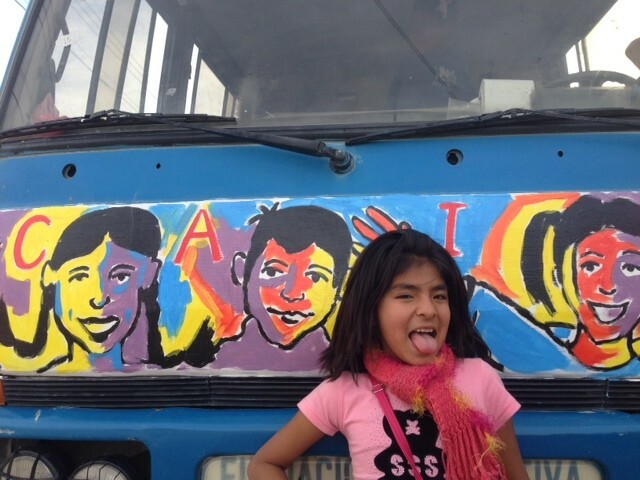 CAICC serves children and adolescents who are abandoned because their parents are either incarcerated or have migrated to other countries to search for economic opportunities. 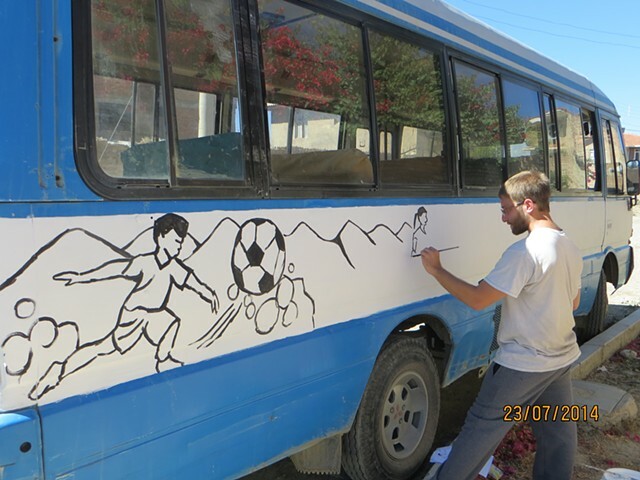 CAICC also offers its services to youth from dysfunctional families who may be at risk. 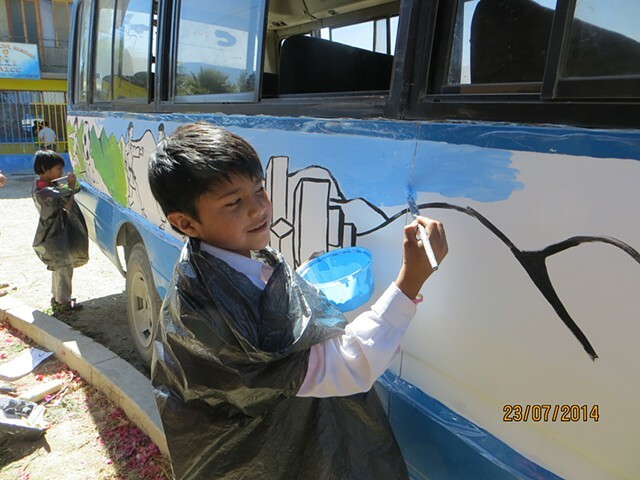 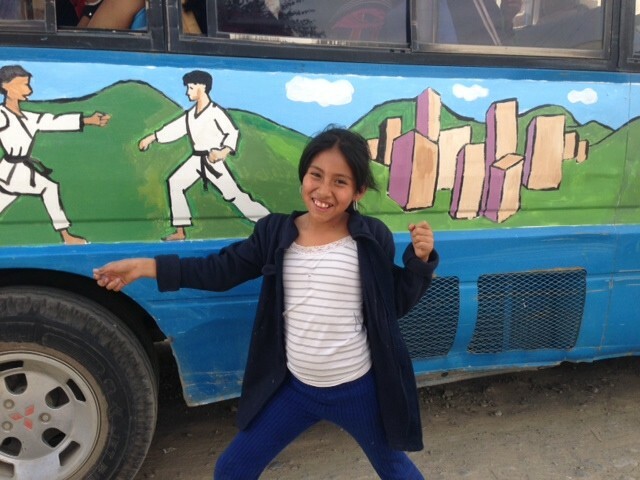 The organization was founded in 1994 by a group of travelers volunteering in Cochabamba, who realized the need for an education and support system for children who lived in prison with their parents. 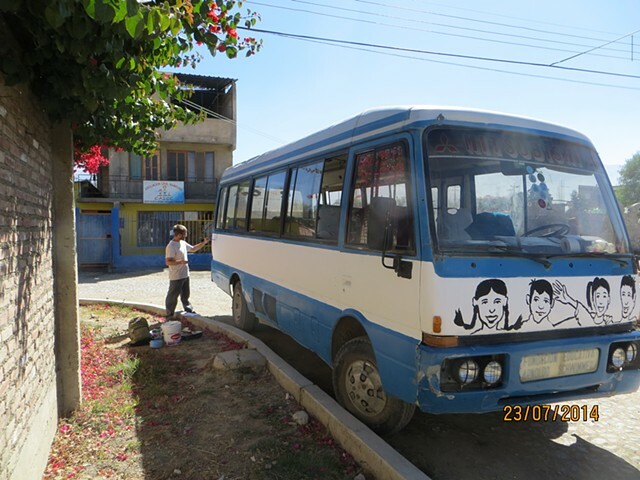 In order to do that, the organisation welcomes anyone who want to do volunteer work with abandoned children in Bolivia. 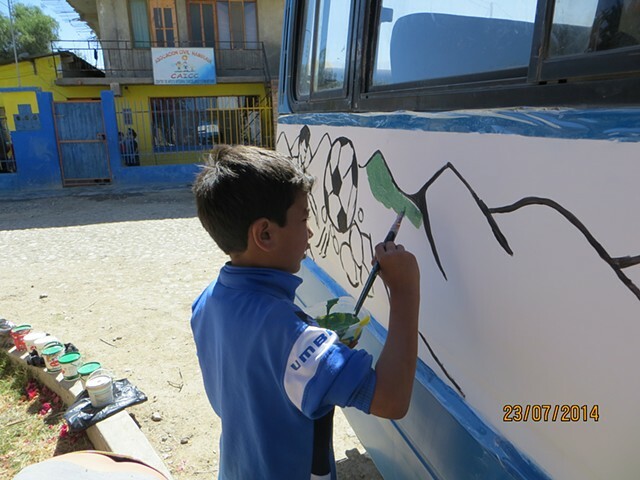 CAICC also offers training workshops and talks to the parents. 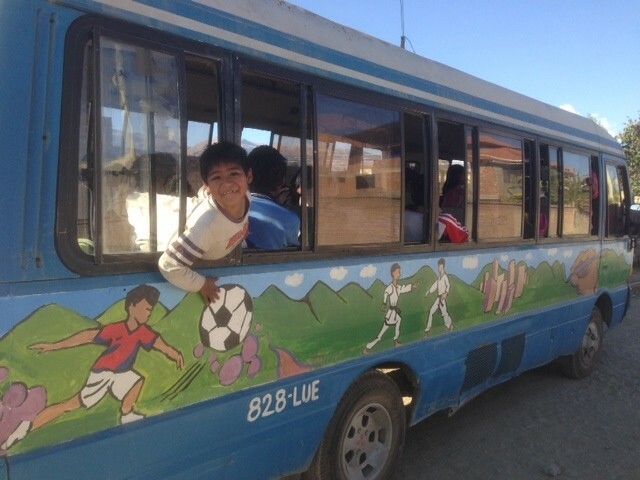 CAICC does not have many resources, but they love their bus. 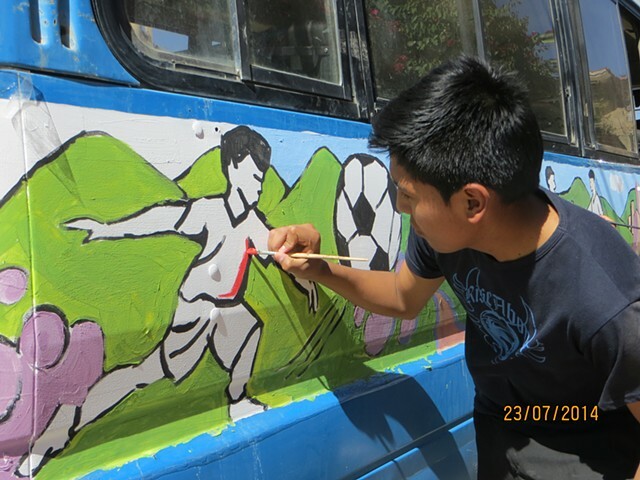 The director asked me to design a mural for the exterior of the bus that reflects the passions of the youth and sources of pride at the center. 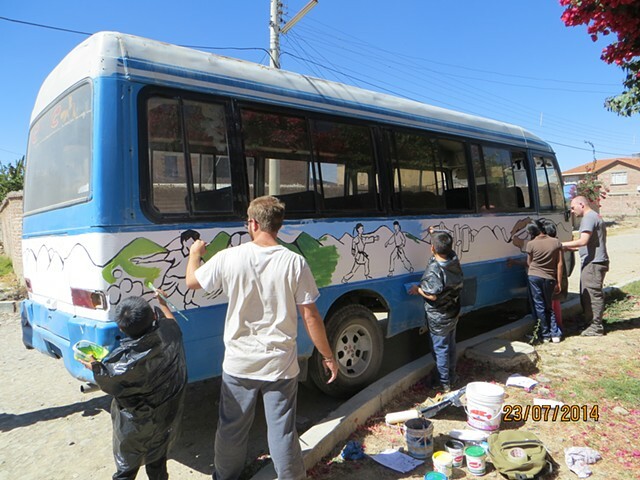 After some research and conversations, I outlined this bus mural and spent two chaotic days painting it with the youth.